Fresh off Heroes of the Storm’s Americas Championship games that went down this past weekend, Blizzard teased out some fresh MEAT content coming into the MOBA. Seems to me like the developer has really stepped up its game for alternate character skins lately. First they gave a sneak peek at the next two upcoming heroes—Artanis, a Protoss warrior, and Lt. Morales, the official name for a support toon drawn from StarCraft’s Medic unit. ...which makes a lot of sense, considering that Raynor is the closest thing HOTS has to an ADC-type character (ADC is a well-populated and popular position in League that hasn’t really transported over to HOTS...yet). How zen of you, Tin Man! 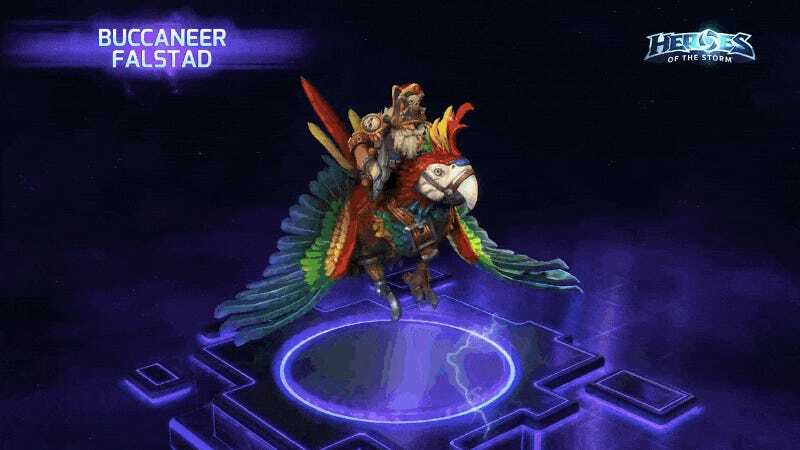 Blizzard didn’t give clear release dates for the new stuff, but based on the regular Heroes schedule, I’d expect to see all the rad new skins and mounts (and characters!) drip their way into the game over the next few weeks. CORRECTION (9/22/15): An earlier version of this article misidentified Lt. Morales as a Sergeant Morales. This was inaccurate; Morales’ comrade Sgt. Hammer is the one Terran unit in Heroes of the Storm that holds the rank of Sergeant. We sincerely apologize for breaking the StarCraft ranks in such an insubordinate, borderline mutinous fashion.